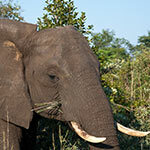 You will get to see and experience the wonderful diversity of Southern Africa on this tour. Starting from Cape Town, we traverse the arid Karoo, twist our way through the mountainous Drakensberg to Mpumalanga. At South Africa’s northernmost point, we cross the mighty Limpopo River via Beitbridge, the gateway and border to Zimbabwe. As we make our way to Bulawayo, Zimbabwe’s second largest city, we will naturally take a look at the Matopos, a unique landscape with amazing granite rocks and formations. 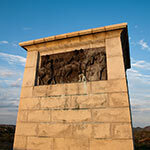 It is also the final resting place of Cecil John Rhodes, founder of the infamous De Beers Diamond Mines. Between Bulawayo and Victoria Falls, we spend two nights in the breathtaking Hwange National Park, where we get the chance to go on a guided safari. 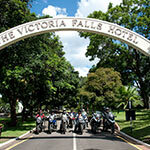 We save the best till last with a trip to the breathtaking Victoria Falls. This tour is predominantly on tar roads. Of course, a trip on one or another dirt road is also possible on request. Welcome. Almost all international flights arrive in Cape Town before midday. Our tour guide will meet you at the airport and taxi you directly to your hotel where you can freshen-up and perhaps have a light bite to eat. In the afternoon we’ll deliver a tour briefing and finalise formalities. Here you’ll find out more about the route you’ll be travelling, have the chance to meet others on the tour. We’ve planned a tour of one of the world’s most beautiful cities for early evening. We’ll be pulling out all stops on your first night and be taking you out to a local restaurant certain to tantalise your taste buds. We’ll try to arrange for a local personality to accompany us for the evening to fill us in on local history, geography and answer any other questions that you might have pertaining to Cape Town. Easing you into it. 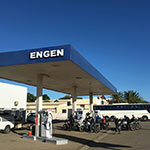 We’ll be leaving the hotel around 9am after breakfast, pick up the bikes and head in the general direction of False Bay. We’ll then ride via Fish Hoek and Simon’s Town to Cape Point. 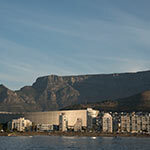 We’ll be making a quick stop at Simon’s Town to take a look at the penguins on the Boulders Beach. 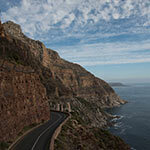 The Cape Peninsula National Park is but a hop-skip-and-a-jump away from the beach. We’ll have a snack at Cape Point, also known as the Cape of Good Hope, before heading back to the city via Scarborough, Kommetjie und Noordhoek. We leave Cape Town after breakfast at around 9:00am and spend the morning travelling through the picturesque Cape Winelands via Stellenbosch, Franschoek, the Franschoek Pass to Robertson. Here, we turn onto the infamous Route 62 to the quaint town of Barrydale, where we break for lunch. In the afternoon we travel to through Ladysmith, over the Huisrivier Pass to Calitzdorp and finally to Oudtshoorn, the Ostrich Farming capital of South Africa. We stay in a feather palace that has been converted into a guesthouse on an Ostrich Farm. We’ll enjoy a delicious dinner together at the guesthouse where the more adventurous are welcome to sample Ostrich meat. 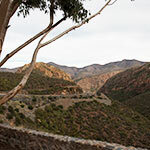 Today we leave the Klein Karoo behind us as we head off to South Africa’s east coast. We quickly reach Uniondale and then Willowmore before turning off onto the N329. This is no ordinary road. It’s made out of concrete and is only wide enough for one normal car. Cars need to move two wheels onto the gravel section, alongside the road, in case of oncoming traffic. We then arrive in Steytlerville and continue through Wolwerfontein. We head onto the N2 motorway shortly before Grahamstown. The university town of Grahamstown is home to an annual Arts Festival with classic music, jazz, dance and theatre. We spend a night in one of its wonderful guesthouses. Grahamstown is situated in the Eastern Cape, one of South Africa’s nine provinces and birthplace of the legendary Nelson Mandela. Our route takes in a northerly direction with some wonderful curvy roads past Fort Beaufort and Hogsback. We reach Queenstown where we take our lunch break. Thereafter, we head out in an easterly direction, passing several Xhosa villages. Fences are rarely seen in the Eastern Cape. We ask that you drive this stretch carefully as cows, sheep, donkeys and goats are often found wandering the streets. 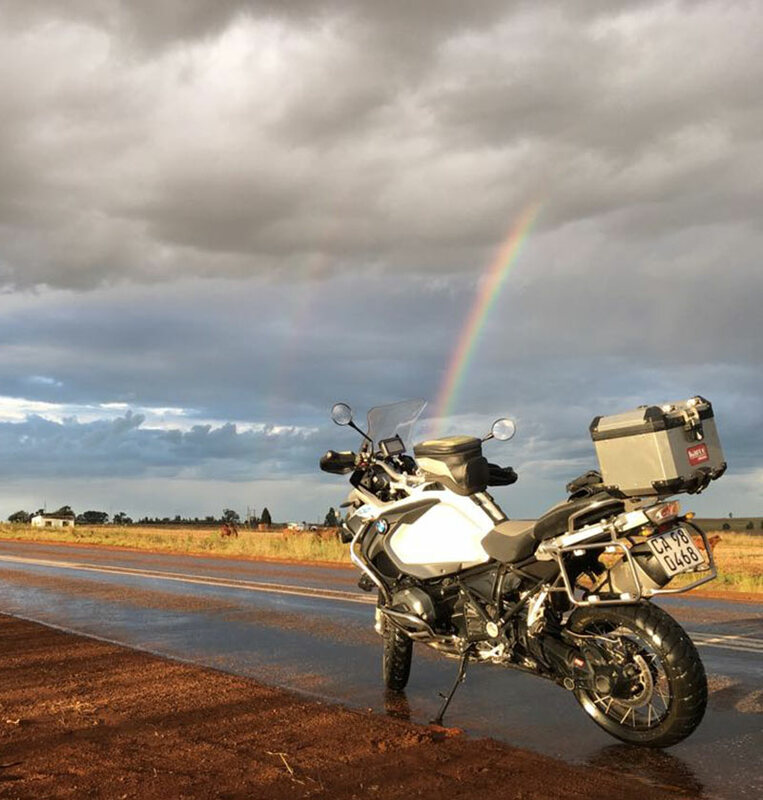 Today’s final bit of riding stretches from Elliot in a northerly direction over the 2,000m high Barkly Pass onto Barkly East. 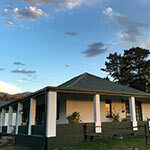 After a few kilometres, we reach Lady Grey where we’ll spend the evening in a wonderful local guesthouse. Lady Grey lies south of Lesotho, a kingdom that is flanked by mountains. We travel in a westerly direction on the Maluti Route past Lesotho, over Zastron, Weppener and Ladybrand to Clarens. This picturesque art village is the perfect stop for our lunch break. In the afternoon we travel through the Golden Gate National Park until the Sterkfontein Dam. This dam is part of an integral system that supplies the giant metropolis of Johannesburg with drinking water and generates electricity for peak usage periods. From here we take the Oliviershoek Pass in the Bergville direction. We spend the night in a lodge not far away from the Drakensberg National Park with a wonderful view onto Cathedral Peak, a mountain range in the Drakensberg. Bergville is situated in Kwa-Zulu Natal, another of South Africa’s provinces. After a short ride we reach the south of Mpumalanga, this is now the fifth province that we have travelled through on this journey. Our route today takes us through Ladysmith, Newcastle and Ermelo to Carolina and Belfast. We reach the Highveld and eventually our destination for the evening, Dullstroom, a small town that is celebrated for its trout dams. Many residents of Johannesburg spend the weekends here fly-fishing. We stay at a wonderfully memorable lodge on the edge of this idyllic place. We’ve prepared an incredibly tasty morsel for you today. 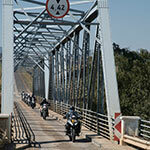 The stretch takes us next to Lydenburg and over the Long Tom Pass on the Panorama route. 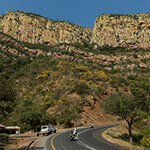 We go through Graskop and past God’s Window, the Blyde River Canyon and the Three Rondavels to the Abel Erasmus Pass. We stay a short distance from Tzaneen in a luxurious lodge. Today is our final day in South Africa. We are now in Limpopo, the sixth province that we’ve travelled through on this trip. We travel in a northerly direction via Makhado (formerly known as Louis Trichard) to Beitbridge which borders Zimbabwe. The South African Border is south of the Limpopo River while Zimbabwe’s is on the north. Border crossings and their formalities take a little longer although the officials in Zimbabwe are well organised. 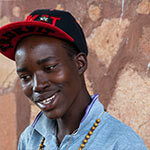 We travel via Gwanda to Bulawayo, the second largest city in Zimbabwe. The streets are in very good condition and you might find one or two potholes that need fixing in the city itself. We’ll be staying in a beautiful part of town and will be enjoying dinner in the comfort of our hotel. 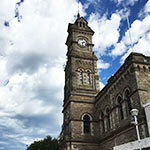 Bulawayo has many buildings dating back to Colonial times and a city tour with a visit to the National Gallery in the morning is definitely worthwhile. In the afternoon, we travel to the Matapos, a national park that is situated a few kilometres south west of Bulawayo. It is also the final resting place of Cecil John Rhodes, the founder of the infamous De Beers diamond Mines. We’ll spend a second night in Bulawayo. We leave Bulawayo as we head-out in a northerly direction. The streets are very good but here, fences are also few and far between. 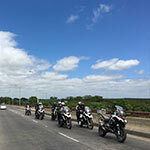 We ask you to ride carefully and aware of any wildlife that might be found wandering the roads. Shortly after Bulawayo, we reach the Hwange National Park which stretches out to the left of the road and is the largest of its kind in Zimbabwe. We spend the evening at a Lodge in the National Park. The Hwange National Park is named after a Nhanzwa Chief and stretches out over 14.650 square kilometers. Today we give your motorcycle a rest as we head off in an open topped overland vehicle. We have an early start as the best time to view game is early mornings. We head off at sunrise. The afternoon is spent at leisure, welcome we are sure after spending so many kilometers in the saddle. The tour’s final destination is not that far away. A timely departure from Hwange ensures that we have enough time to thoroughly explore and enjoy the little town of Victoria Falls to the full. We’ll spend the final evening at the Victoria Falls hotel, a veritable icon from Colonial times and the best place to enjoy the evening next to the waterfall. We’ve organised a boat cruise on the Zambezi River above the waterfall just before sunset. Our last dinner together as a group is served in the hotel. As a throwback to the good old Colonial days, the dress code is an obligatory smart casual i.e. a button down shirt with a collar, long trousers and closed shoes. We recommend that you spend another evening at the hotel and will gladly make these arrangements for you. Should you need to head back, we just need to visit the so named National Park and we’re set to go. Rain gear is highly recommended to protect you from the waterfall’s spray. Should you be interested in staying longer to go bungee jumping or white water rafting, we’ll gladly assist with those arrangements. Simply ask. For the rest of us, we head back to the airport in the afternoon.